When Multy Oliver began at Shorecrest in the sixth grade, she eased herself gently into her new community, first befriending her fellow transfer students. Seven years later, she leaves an indelible impact on the full school community through her leadership, her embodiment of the Shorecrest Core Values, and her natural talent for bringing people together. At Shorecrest she’s affected positive change in ways both large and small. 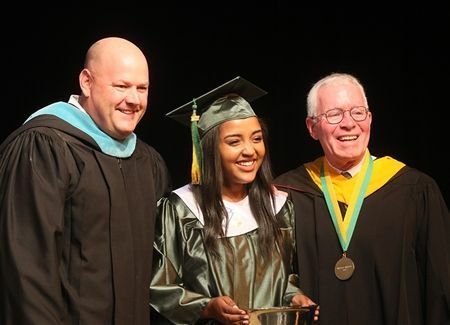 She’s served as Student Council Vice President, interviewed candidates for Shorecrest administrative positions, and even sat on the school’s Strategic Planning Committee, the faculty, staff and Board of Trustees eager for her input and feedback. Her work with SADD is one of many examples of Multy’s ethic of care. For Service Week 2016, she worked on a Habitat for Humanity build alongside the Marine veteran for whom the house was built. Just recently Multy won the 2017 Mathew F Little CCBPI Award, an honor bestowed on a Shorecrest student who exemplifies character, leadership and integrity. “It goes without saying that Multy is very bright and highly motivated. She is diligent in her daily preparation, attentive in class, and thoroughly engaged in all class activities. Her peers count on her as a leader both academically and socially. She works well in groups and sees achievement as a collaborative process rather than a competition,” says Jackie Carnes, Multy’s former French teacher. She has been on the Headmaster’s List for all four years of Upper School and in two additional honor societies, the Thespian Honor Society, and the French Honor Society. She’s starred in Shorecrest theatrical productions and gives her all on the basketball court with her Varsity teammates. For her leadership, scholarship, mentorship and service, she was named the Outstanding Senior for Class of 2017 and will return in 2027 to give the Commencement address. Reflecting on her theatre experience, Multy credits her 8th grade English teacher Craig MacDougal with developing her love of theatre. 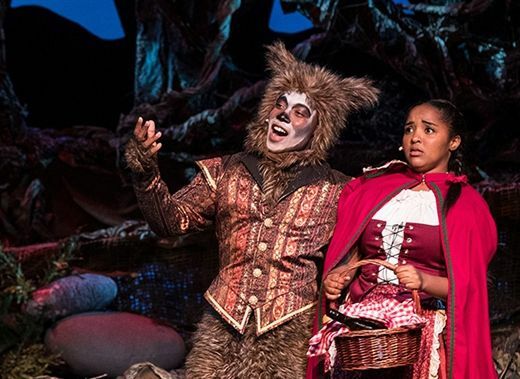 “I thought he was a really good English teacher and he was also the theatre director in eighth grade and he really helped me grow in the theatre department,” she says. When Multy Oliver crossed the Shorecrest stage at 2017 Commencement, she was one of only two students to graduate as a 7-year Shorecrest Trustee Scholar. The first to hold such a distinction was her brother, Class of 2015 alumnus Karim Oliver, who is a sophomore at Vanderbilt. The Trustee Scholarship is a competitive, full-tuition scholarship based on both academic merit and demonstrated need, and holds the expectation that scholars make an impact on the Shorecrest community. As is Multy’s habit, she has met and exceeded those expectations. 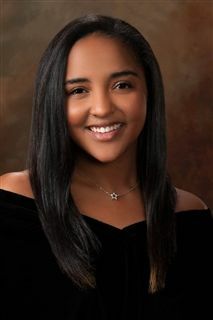 Multy will attend Duke University, where she was admitted Early Decision. She hopes to pursue a pre-law track, with a focus on civil rights and social justice. As Outstanding Senior, Multy will speak at the Commencement of the current second grade.